Job Title: Social Worker-Case Management Department: Timiza 90 Reports To: Project Coordinator Position Type:	Contract Work Station:	Homa-bay Kenya JOB SUMMARY: As a Social Worker, you will monitor and report on all project activities related to case management and service delivery with respect to OVC and their families in support of’s work to ensure improved access to health and social services to the OVC and their families. Your OVC service-oriented approach will ensure that the project consistently applies the new Case Management approach to the delivery of quality and time bound services to the OVC and their families as well as enhance their participation in their best interest to constantly work towards improving the impact of the benefits to the project beneficiaries. 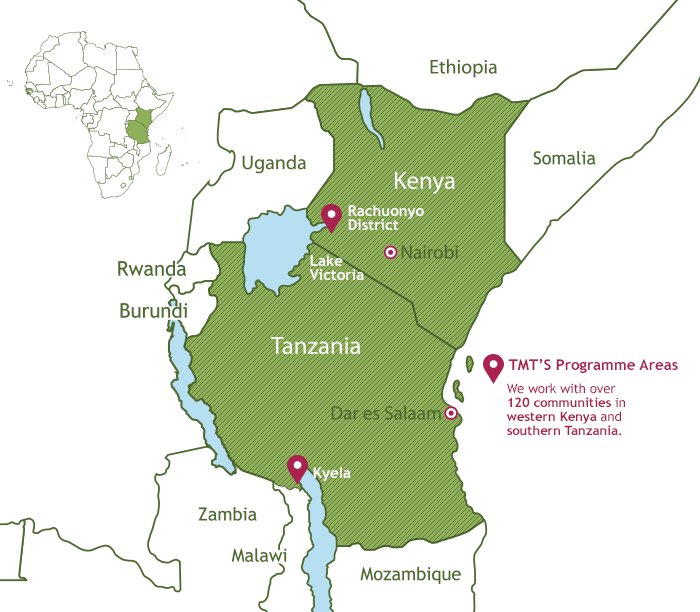 You will work and coordinate closely with other TIMIZA90 Project staff, key staff from the relevant ministries, Community Health Volunteers and Link Desk Person to contribute to a holistic, integrated, and comprehensive project implementation. KEY JOB RESPONSIBILITIES: 1. Support the coordination, implementation, and monitoring of all assigned project activities as outlined in the Implementation Plan in line with organizations principles and standards, donor and GOK requirements, within Homa-bay and Rangwe sub counties. 2. Monitor and report any challenges and/or gaps identified to inform adjustments to plans and implementation schedules. 3. Support the project volunteers in their efforts to reflect on project experiences. 4. Collect and analyze project data per specified mechanisms and tools. Collaborate with other organization staff and volunteers to prepare reports per established reporting schedule and guidelines. 5. Provide technical support and monitor capacity building and technical support activities to the CHVs, and Link Desk Persons to ensure effective and quality service provision. 6. Actively engage in identifying and documentation of project promising practices, case and human-interest stories, dissemination and use of relevant knowledge in the field. 7. Represent the organization and TIMIZA 90 project in meetings at county, Sub County, ward and locational levels, working groups, and other events as requested, to support forging relations with the GOK, other stakeholders, the community and project beneficiaries. 8. Ensure accurate and timely reporting of all assigned project activities per donor and TMT standards and established schedules. 9. Ensure community case workers (CCWs – project volunteers) complete required case management forms and ensure case filing system is developed and maintained. 10. Create community linkages for broader community engagement in case management. 11. Conduct joint support supervision with relevant GOK representatives to forge better working relationships 12. Conduct regular home visits with the LCHVs and CHVs to ascertain service provision to the project beneficiaries as well as providing support to the volunteers as package for care of carers. REQUIREMENTS a)	Academic Qualification 1. Bachelor’s degree in Social Science, International Development, Community Development or a related field or a Diploma holder with 3 years’ experience b)	Work Experience 1. At least 2-3 years of work experience in project support in the field of OVC, HIV/AIDS and other health-related projects in Kenya and for an NGO. 2. In-depth understanding of program results, outcomes, impact, and reporting. 3. Experience in participatory action planning and engagement of stakeholders at various levels. 4. Experience in monitoring projects and collecting relevant data. 5. Excellent understating of GOK and PEPFAR OVC guidelines and standards. c)	Professional Qualification 1. Ability to work with MS Windows and MS Office packages (Excel, Word, and PowerPoint). d)	Personal Skills 1. Observation, active listening and analysis skills with ability to make sound judgment 2. Good relationship management skills and the ability to work closely with GOK, non-GOK partners and community members and beneficiaries with minimal supervision 3. Attention to details, accuracy and timeliness in executing assigned responsibilities 4. Proactive, results-oriented and service-oriented 5. Ability to work under deadlines and meet strict donor deadlines 6. Ability to ride a motorcycle All application for this vacancy should reach the office before 16th January, 2018 through email: tmtke.info@gmail.com or P.O.BOX 11, Kosele.